Every year, we load up in the car, and make the 16+ hour trek to Michigan to visit my in-laws. 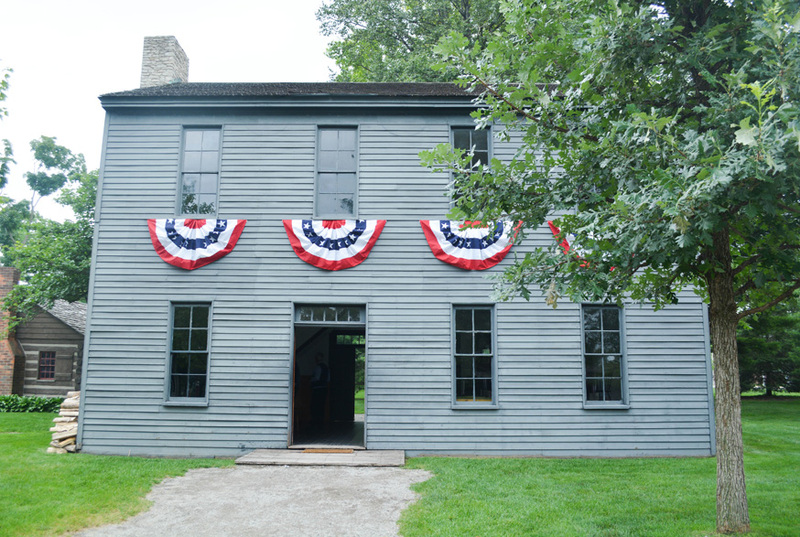 This summer was no different, but instead of spending the entire time visiting family and old friends, this year we decided to add on a few days so that we could stop by and explore a few of the family friendly attractions in Detroit including Greenfield Village. Due to limited time, we tried to fit the Henry Ford Museum, Greenfield Village and the Factory Tour all in one day, but we soon found out that we could only fit two, and even that was really pushing it. I planned on being at the Museum for the 9:30am opening, but it was closer to at least 11 before we arrived. Being a first timer, I didn’t know what to expect, but I do know now, that if we wanted to take our time and not rush by everything, that there is no way that we could do all three in one day. I was surprised that both the Henry Ford Museum & Greenfield Village closed at 5pm, I thought the hours would have been extended during the summer. 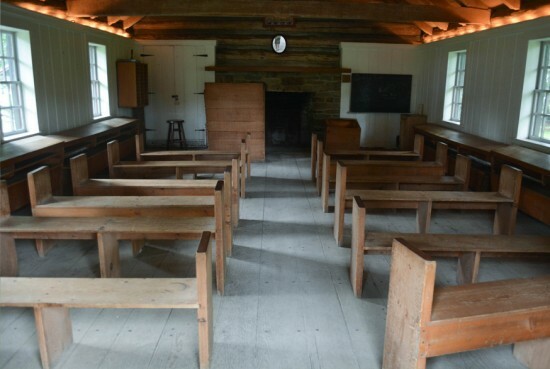 With the boys being 5 and 7, I wasn’t sure if they would be on the bored side, but they were more than excited to walk around and learn about how things were back before their grandparents were born. Before we had all different types of vehicles and technology. Entering the Greenfield Village is like stepping foot into an 80-acre time machine filled with historic structures, Model T cars, a 19th century steam engine, and food from the 1850s .It was founded on October 21, 1929 as an educational and historic landmark, and often serves as a field trip destination for many area schools. 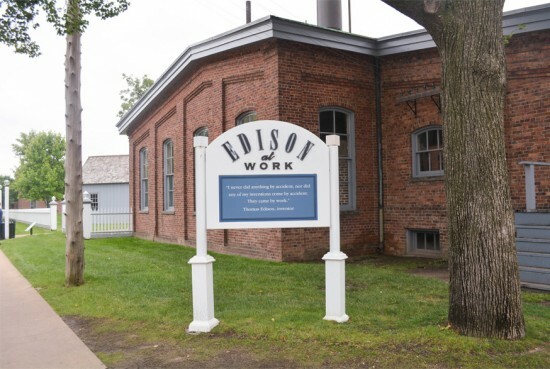 Explore the workplace of one of America’s most prolific inventor, Thomas Edison, as well as the Sarah Jordan Boarding House. 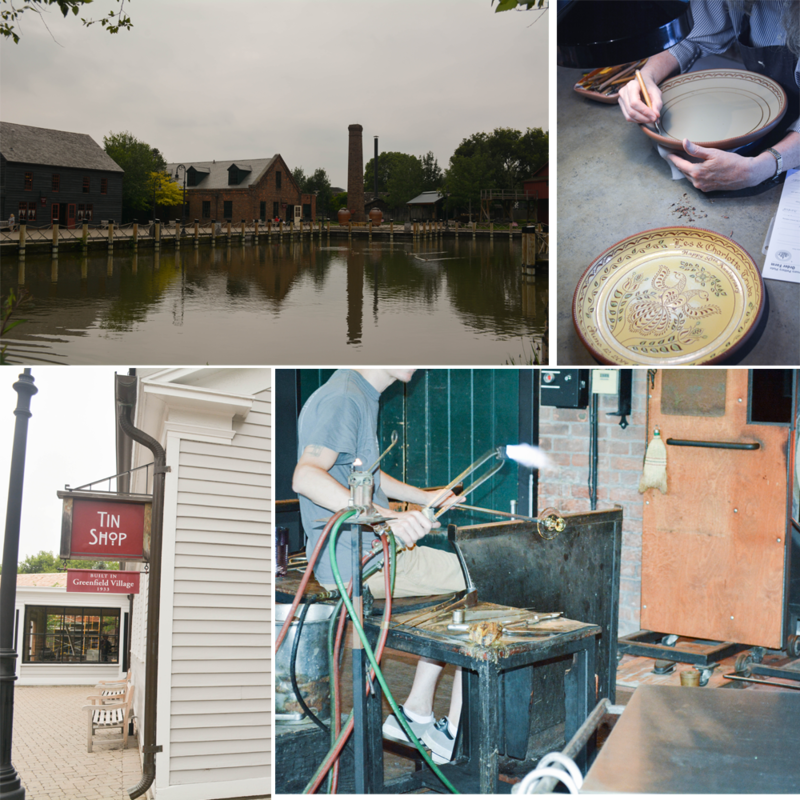 Go back in time and see how skilled created glass and pottery. Visitors also have the hands on opportunity to “pull” glass with world-class artisans. 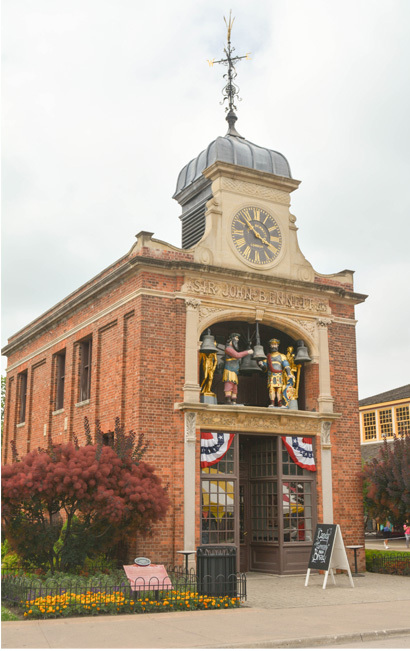 Experience the center of a small town over a century year old by visiting the Wright Home and Cycle Shop, Mrs. Cohen’s Millinery, Logan County Courthouse. 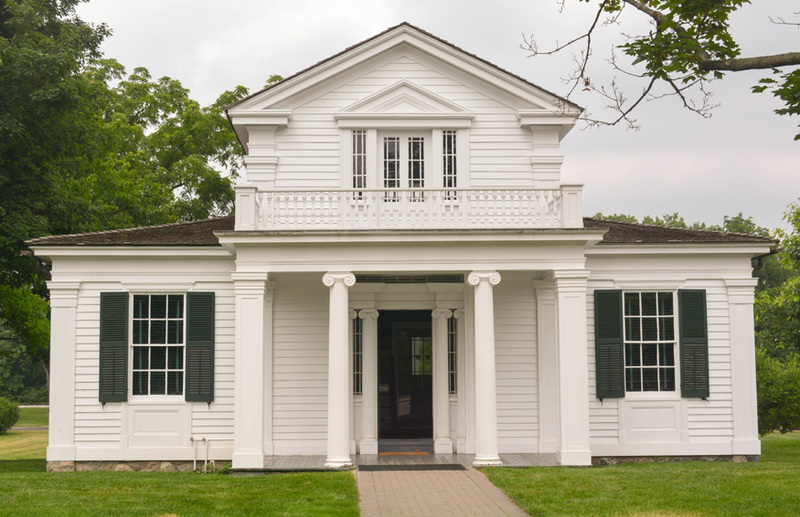 Sit down for lunch at Eagle Tavern and enjoy a locally sourced, seasonal meal inspired by 1850s recipes. Tour Henry Ford’s birthplace, workshop & factory, then take a ride on a Model T.
Explore the home life of America’s past including the Edison Homestead, Susquehanna Plantation, and Daggett Farmhouse. 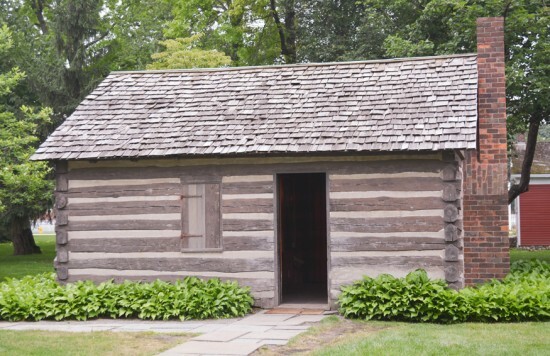 Get an up close and personal look, by taking a tour inside the structures. 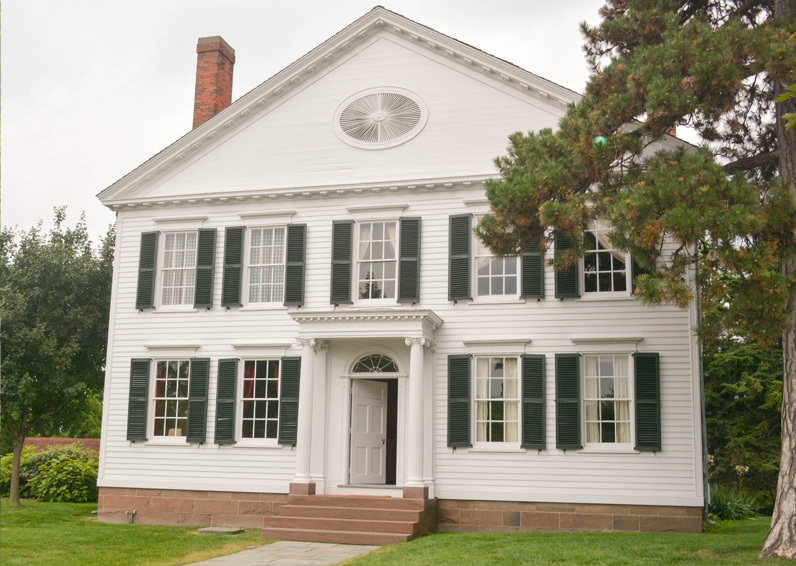 Noah Webster’s home – where he wrote the first American dictionary. Robert Frost’s house – where he wrote some of his best poetry. Logan Country Court House where Abraham Lincoln practiced law. George Washington Carver Cabin – modeled after the Missouri slave cabin where George Washington Carver was born. 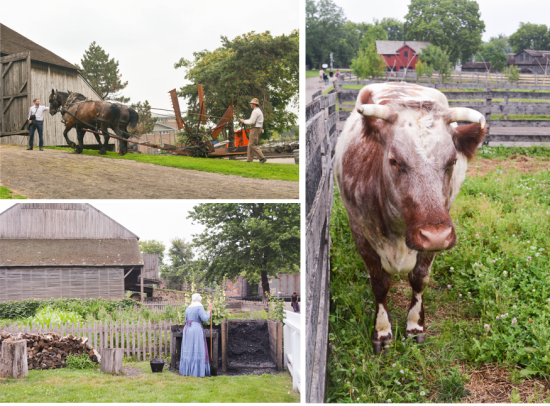 Although I would have liked to spend at least one more hour at Greenfield Village, the children and I certainly enjoyed our visit and we look forward to visiting again next summer. Check the weather as there will be a lot of outside walking. Outside food & drinks are allowed. 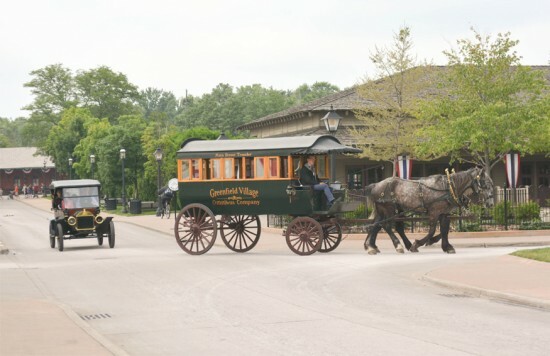 Onsite vending, snack areas, and restaurants can also be found inside Greenfield Village. *Thank-you to the Detroit Metro Convention & Visitors Bureau for arranging our hosted visit to Greenfield Village. Have you ever been to Greenfield Village? What a neat place to see. I would love to go and take the kids. It would be so much fun. Wow, this looks like a really neat place to take the whole family! 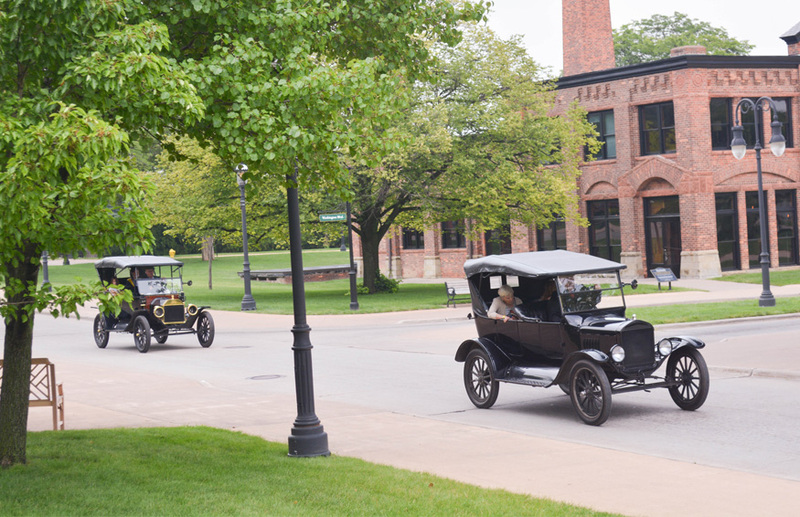 I would love to go here and see all the sights and sounds of Detroit and see the old cars. My family would love to go here and spend the day!! I would love to visit with my family. and get a feel of the past. 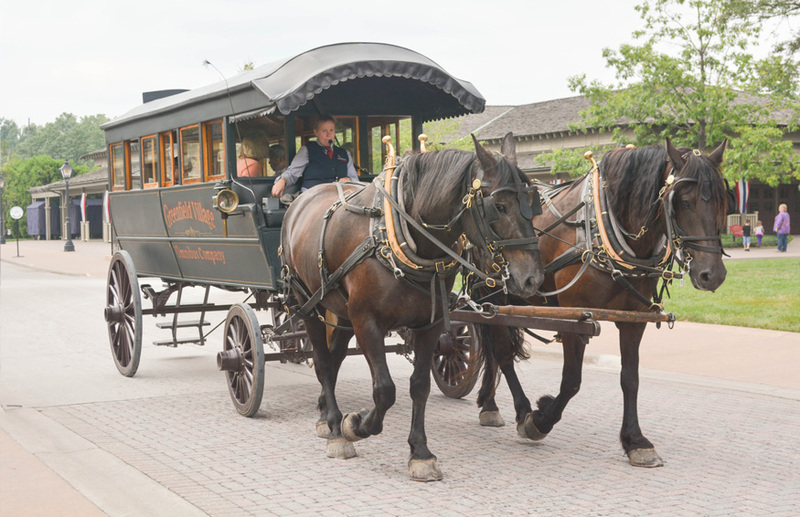 We are from Chicago and travel to Greenfield Village every year in the Fall. I highly recommend the Halloween event during the last weeks of October. GV is closed after hours for a wonderful Halloween display in which children, dressed in their costumes, go trick-o-treating. We’ve made it a tradition to attend…and my boys love it. I had no idea this was in Dearborn! I’ve been there a couple of times for work but I must have missed it. This would be such a fun place to visit. I love places like this & I hadn’t heard of Greenfield Village. Thanks!